….or the Grass is Always Greener on the Other Side. Or both. Which sheep was the ringleader, the one who said, “Hmmm, the grass looks really, really good over there.” He pushes at the gate. Locked. Maybe there’s a password, a lock, something that will get us from here to there. Meanwhile, all the sheep have followed him, thinking he surely knows what he’s talking about. They are now all discontent with the grass and priory that they have. 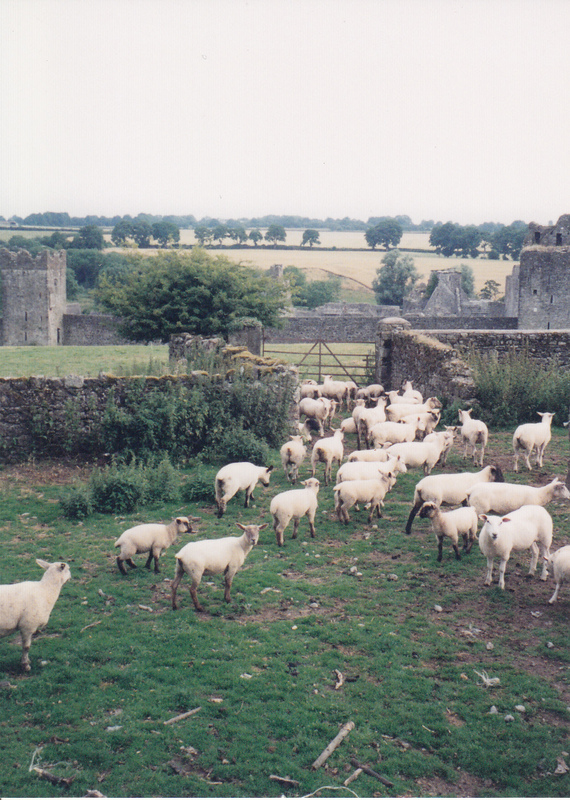 This entry was posted in Christianity, Faith, Family, Life, Photography and tagged Creation, fable, Ireland, joy, Kilkenny, Nature, Peace, priory, scenery, Sheep by lyonsroarforgod. Bookmark the permalink. So true!! We ALL need to be certain that the leader we are following is leading us down us the right path in life!!! We also need to remember that the grass always looks greener on the other side of the fence, as they say, until we get there.